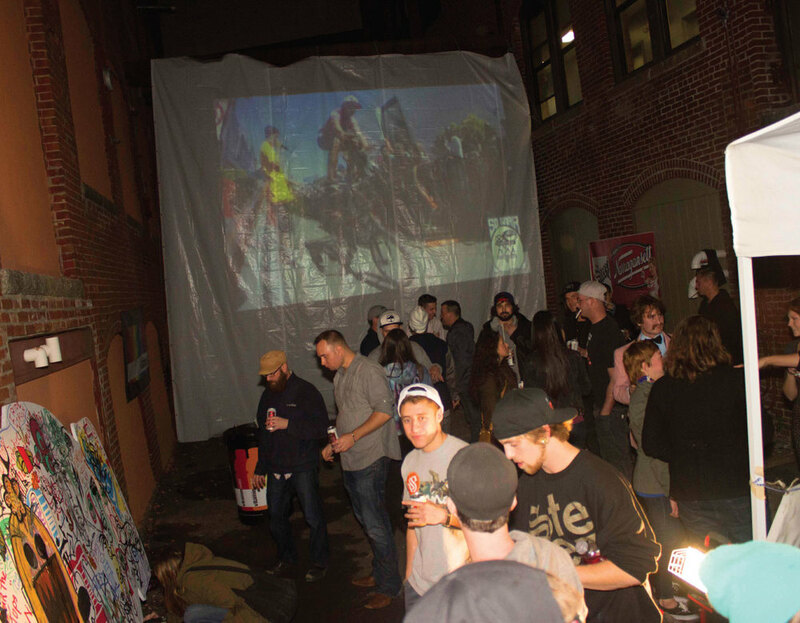 Porter Mill Studios in Beverly hosted the 25th release party for Steez Magazine. Steez collaborated with So-Gnar and the Shredded Beats brand for the event and were lucky enough to have So-Gnars founders, Pat Milbery and Andrew Heard, visit from Denver, CO for the event. The gallery at Porter Mill was an arrangement of So-Gnars artwork with images from issue 25 mixed in. DJ Alexander The Great spun vinyl all night and food and drinks were complimentary from multiple sponsors. IN the alley attached to the gallery a full lounge and outdoor movie screen were erected. 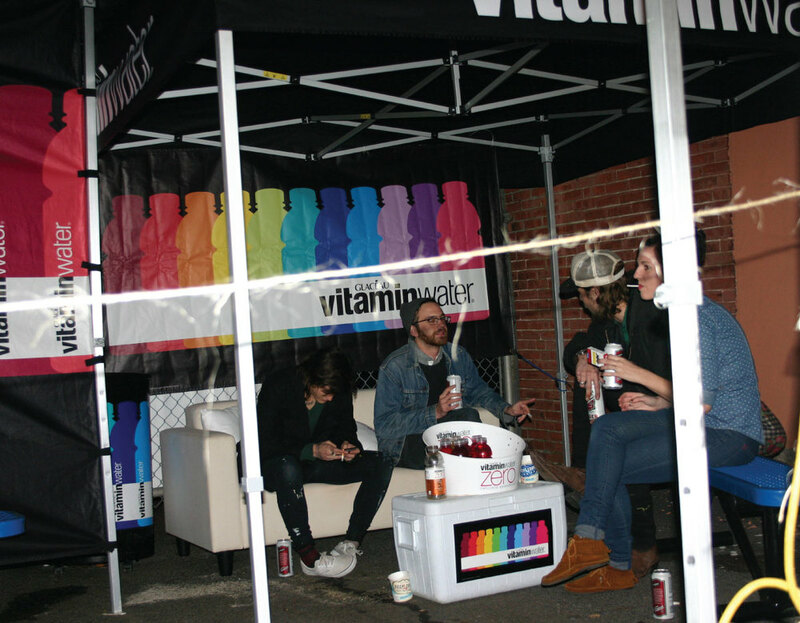 So-Gnar showed it's latest film on the 30ft screen across the alley and a blank 18ft Vitamin Water bottle was supplied for those who wanted to get artistic.